Metal fencing is suitable for residential locations. Constructed from zinc plated steel for durability. 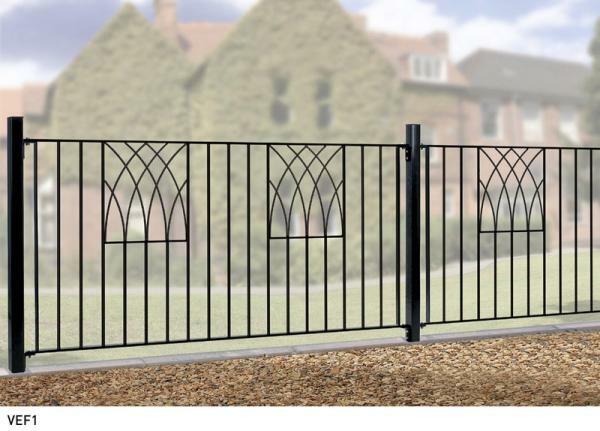 Manufactured to high standards the Verona Metal Fencing is a modern design that is suitable for a wide range of home and garden applications. Constructed from zinc plated steel to ensure a prolonged lifespan then finished in black powder coated paint these metal garden fence panels represents exceptional value for money when compared to similar styles and will prove a worthy investment. Verona Metal Garden Fence Panels - Simply Amazing Value for Money! Eye catching design creates an individual look at a competitive price. Metal fencing is perfect for most residential settings. The Verona fence features 25mm x 6mm frames, 10mm infill bars and 6mm decorative panels. Please note Verona metal fencing is not supplied as standard with any fittings. These must be purchased separately here. The sizes represent the opening into which the fence will fit. We have already made an allowance for the space needed for the fittings. Unsure how many Verona metal fence panels to order or what size you need? 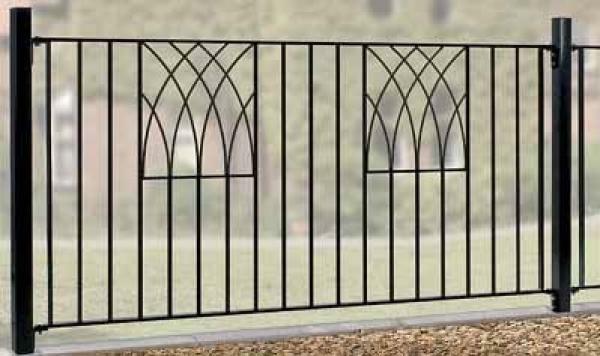 For help and advice prior to placing an order contact Garden Gates Direct today by calling us on 0844 804 5577 or email us using our enquiry form. You may also wish to read the measuring guide, ordering guide and frequently asked questions pages to find many answers to common queries.